Marie thinks she’s an excellent judge of character. And Bjorn thinks the same of himself. Only time will tell who is the better judge. 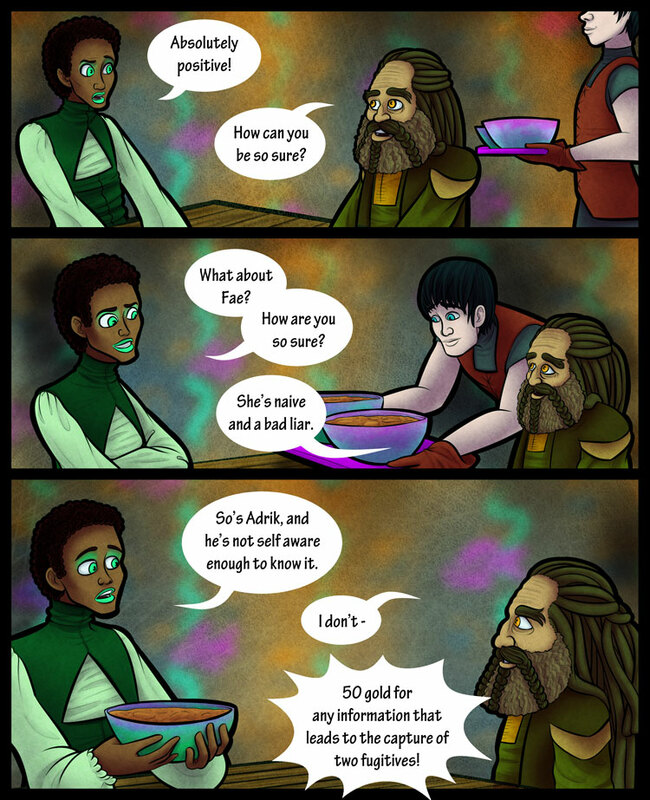 Arvalon from Planet Chaser makes a return appearance on today’s page. Also, also, I’m working on a surprise for all of you that I’ll hopefully get to unveil sometime this summer. A summer surprise, eh? Looks like I picked the right time to finally get caught up again.